Laphroaig Select takes its name from the special selection of American and European casks, chosen for their unique character which is revealed during maturation. This version takes its history from the specialist expertise of Ian Hunter, the last family owner of the distillery. ,Inspired by his work in cask selection, for this version, Laphroaig have used Oloroso Sherry casks, new white American oak casks, Pedro Ximenez Sherry casks, quarter casks and of course first-fill bourbon casks. 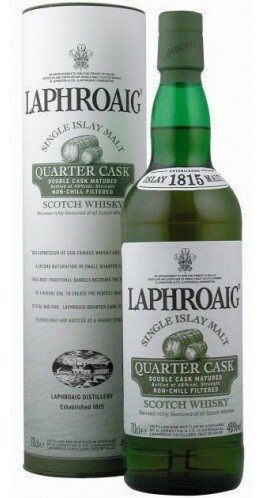 This maturation technique using a variety of casks has made it possible to create six new combinations of flavors, all of which were tasted by the Friends of Laphroaig who selected this version, named: LAPHROAIG SELECT.